Take 40% off the entire course. Just enter code mmmardan into the discount code box at checkout at manning.com. 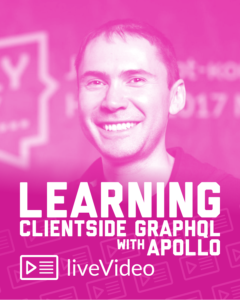 In Learning Clientside GraphQL with Apollo, you’ll learn the benefits of using GraphQL with Apollo and how this robust stack can solve problems that can arise when working with data from front-end APIs. You’ll gain hands-on experience as you build a self-contained voting application, complete with a database and front-end and backend applications. Your project will allow users to vote a topic up or down, propose new topics, and leave comments on topics. 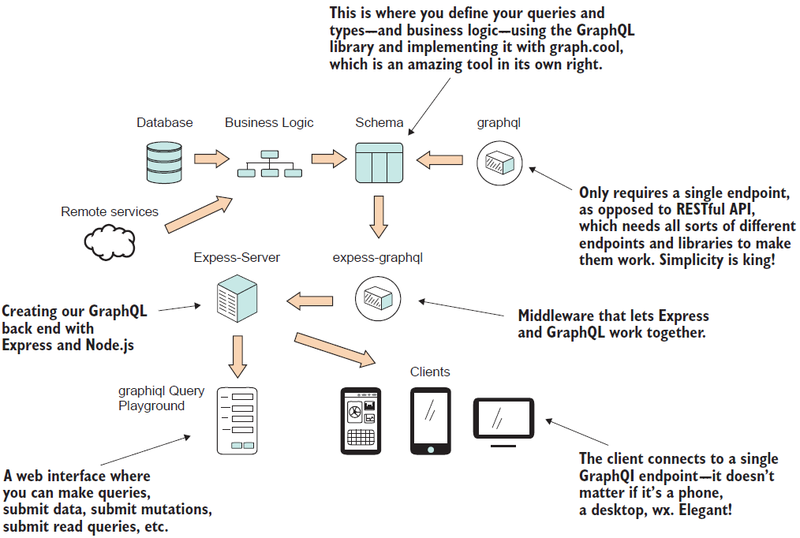 The diagram below shows how GraphQL can simplify the web development process by making API interactions more clear cut and simpler.